Edgewater Veterinary Hospital opened its doors in 1989, under the ownership of Dr. Kenneth Bleichner. Having worked for Dr. Bleichner in high school, Dr. Darrolyn Hunt became the first veterinarian at Edgewater Veterinary Hospital. She later became the owner of the practice in 1996. Similarly to Dr. Hunt, Dr Danielle’ Chemerys started working in the practice in junior high and following graduation from veterinary school she became an associate veterinarian at Edgewater Veterinary Hospital. 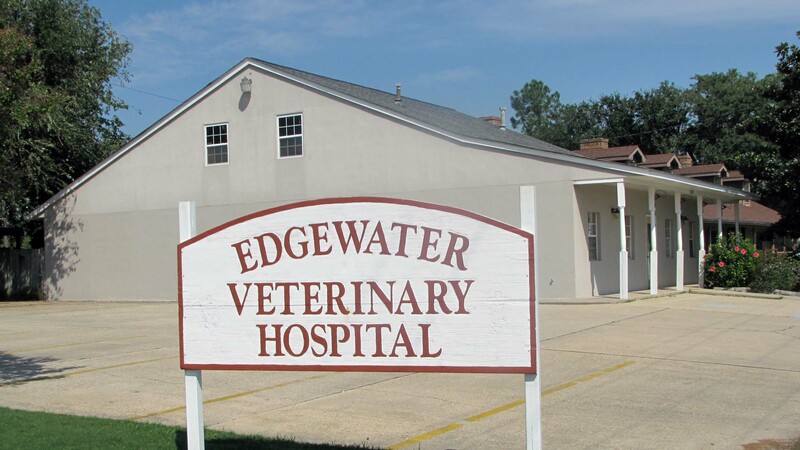 Edgewater Veterinary Hospital is a full-service veterinary medical, surgical, and boarding facility, located in Biloxi, MS. We are committed to promoting responsible pet ownership, preventative health care, and health-related educational opportunities for our clients. Edgewater Veterinary Hospital strives to offer excellence in veterinary care to Biloxi and surrounding areas. Please take a moment to contact us today. We look forward to becoming a part of you and your pets life.